Dr. Elena Panizza Joins the Cerione Lab! Earlier this month, Dr. Elena Panizza joined the Cerione Lab as a Postdoctoral Associate. Elena’s main research interest is to investigate molecular mechanisms underlying the development of cancer by employing system biology approaches to formulate hypotheses coupled with target analyses for validating them. Elena’s background is in Medical Biotechnology, from which she graduated at the University of Turin in Italy. She then moved to the Karolinska Institutet in Sweden to pursue her doctoral studies in mass spectrometry-based proteomics and phosphoproteomics. A large part of Elena’s doctoral work focused on optimizing a method for phosphoproteomics analysis, which led to the identification and quantification of more than 18,000 phosphorylation sites in HeLa cells across ten experimental conditions. In addition to focusing on method optimization, she also addressed the question of the functionality of the identified phospho-sites, which is currently a main issue in the phosphoproteomics field, as the majority of the phospho-sites identified by large-scale analyses is not known. In particular, in this study she compared HeLa cells that underwent mitotic arrest with an asynchronous population, seeking to identify novel protein phosphorylation events that have a regulatory function in the progression through mitosis. By employing bioinformatic approaches such as kinase association analysis, Elena was able to pinpoint 165 novel phospho-sites that are putatively functional during mitosis (1). Her doctoral work also included the application of proteomics and phosphoproteomics analyses to investigate molecular mechanisms associated with the development of metastases in breast cancer cells (2), and the role of the membrane pump Na+/K+-ATPase as a signal transducer in immortalized kidney cells (manuscript in preparation). Overall, she learned the foundations of mass spectrometry and gained experience in optimizing workflows and sample preparation methods for mass spectrometric analysis. Additionally, Elena learned a number of bioinformatic approaches to analyze and interpret large-scale datasets generated by her mass spectrometry, as well as transcriptomics datasets, and to formulate hypothesis based on them. 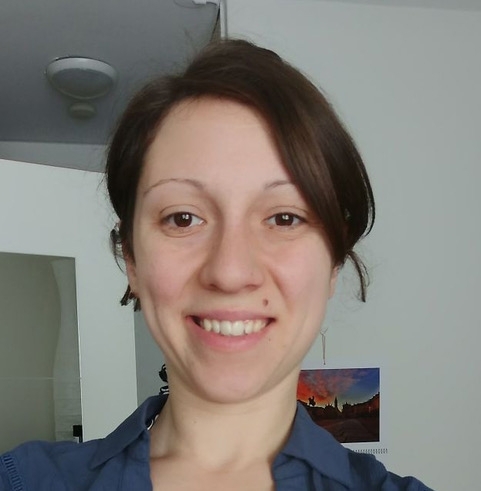 For her postdoctoral work, Elena will take on the effort to investigate the molecular mechanisms underlying aggressive and therapy-resistant phenotypes induced by tumor stem cells in glioma, and aim to do so by coupling the system-level analyses that she previously learned with a set of targeted methods. We are excited in having Dr. Panizza join the lab! 1. Panizza E, Branca RMM, Oliviusson P, Orre LM, Lehtiö J (2017) Isoelectric point-based fractionation by HiRIEF coupled to LC-MS allows for in-depth quantitative analysis of the phosphoproteome. Sci Rep 7(1):4513. 2. Reithmeier A, et al. (2017) Tartrate-resistant acid phosphatase (TRAP/ACP5) promotes metastasis-related properties via TGFβ2/TβR and CD44 in MDA-MB-231 breast cancer cells. BMC Cancer 17(1):650.